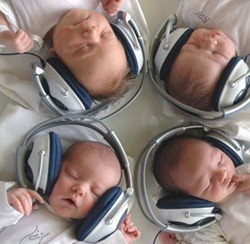 Everyone in their life had experience the soothing effect of music. Knowingly or unknowingly we have been using music as a therapy. Music therapy is a therapeutic application of the music to restore health, improve motor skills, enhance social\interpersonal development and have spiritual enrichment of normal\disabled persons of all ages. Music therapy is a type of complementary\alternative therapy where non-verbal, creative, structural and emotional qualities of the music are being used effectively to get relief from physical and psychological stress while providing overall wellness. The professional music therapist plans and creatively uses the different from of music to treat different disorders. On the base of illness various activities including listening or creating music, dancing with music or singing are advised to patient. Many institute helping partially disabled or mentally retarded children have successfully achieved their respected goal with music therapy.